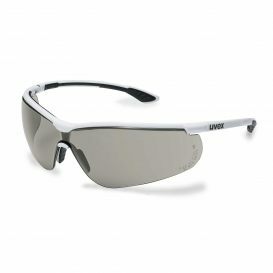 The uvex sportstyle is a close-fitting, sporty design with an extremely low weight of just 23g for incredible comfort. Whatever your industry or sporting activity, the uvex sportstyle delivers the perfect combination of performance, safety and style. 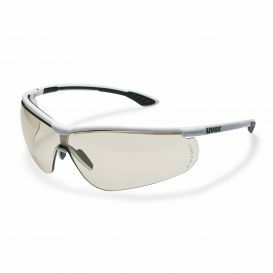 The distinctive athletic design, unrivalled uvex lens coating technology and the sportstyle’s use of lightweight, high-tech materials means that wearers will experience the highest levels of comfort, ultimate fit and an excellent field of vision. Eyewear fits perfectly when you forget you're wearing it. That’s why uvex uses adjustable soft nose pads and adjustable soft earpieces to create a comfortable yet stable fit for pressure-free comfort with no distractions. 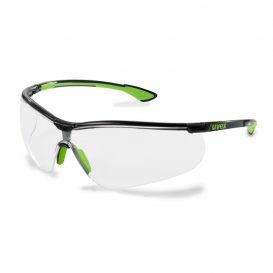 The uvex sportstyle offers a wide, blur-free field of vision, providing enhanced wearer safety and reducing the potential for eye strain, fatigue or discomfort. uvex supravision extreme lens coating delivers permanent anti-fog coating on the inside of the lens and scratch resistant on the outside. Permanent lens coating technology that won‘t wash off even after repeated cleaning. This prolongs the product life offering great value for money. Ideally suited for workplace environments with long-lasting exposure to condensation and a high degree of dirt. Lenses with uvex supravision variomatic have self-colouring filters that offer the best vision with automatic darkening within 10 seconds and brightening after 30 seconds. 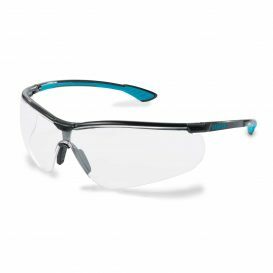 With the proven uvex supravision excellence technology (anti-fog on the inside, extremely scratch-resistant on the outside) these are particularly suitable for working in areas with frequent movement from inside to outside and from light to dark. 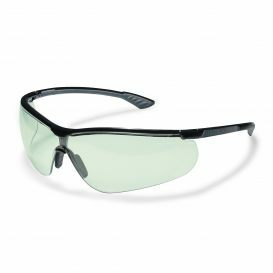 65% light transmission for strain-free vision and high levels of wearer comfort. Blue light reduction increases alertness, focus and productivity and reduces risk of fatigue. 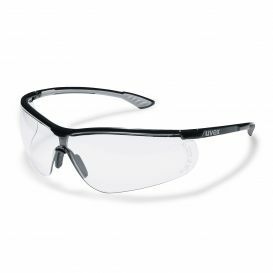 Contrast enhancement makes uvex CBR65 ideal for both indoor and outdoor applications. 50% blue light reduction at 450nm reduces risk of retinal damage which can lead to age-related macular degeneration (AMD). Other side effects include headaches, neck and eye strain. Permanent lens tint lasts for the life of the product. Suitable for a range of applications requiring low impact protection including those working in construction, manufacturing, automotive, healthcare, utilities, pharmaceutical, food/drink, warehouse/distribution and sports e.g. cycling.